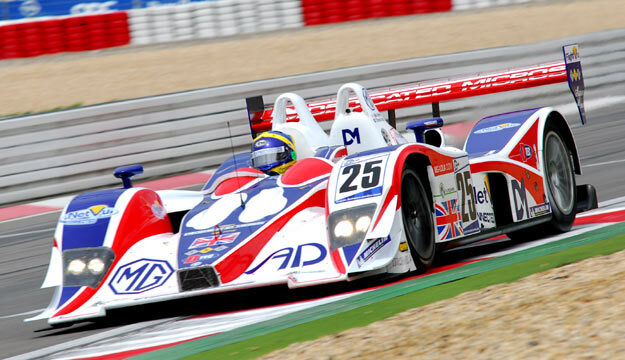 Thomas Erdos drove the RML MG Lola EX264 to class pole for Round 3 of the 2007 Le Mans Series at the Nurburgring in Germany today. The Brazilian set a blisteringly quick time of 1:45.492 on his third flying lap to clinch the front-row in LMP2, and thereby secure his first pole position start of the season. With almost half the qualifying session remaining, Erdos brought the MG back to the pitlane to sit out the remaining minutes. Others tried to match, or better, his time, but only Michael Vergers in the Barazi Epsilon Zytek came close. The Dutchman, who took pole for the previous round in Valencia, clawed closer and closer, but narrowly fell short at the end by 47 one-hundredths of a second. Claiming pole came at the conclusion of two days of determined effort by the RML crew, who had worked tirelessly to establish an ideal set-up for the MG Lola EX264 around the twisty, high-downforce Nurburgring circuit. With each hour-long test the drivers grew more comfortable with the car’s handling and performance, and late during Friday’s second session, Erdos topped the LMP2 timesheet with a best of 1:46.308, fourth fastest overall. While it seemed unlikely he’d be able to match that relative position in qualifying, it was a tremendous boost to the team. Equally so was the three-second improvement in personal best from Mike Newton, who managed this not once, but consistently throughout a half-hour stint. High resolution images from Nurburgring may be viewed and downloaded from the gallery.